Divisadero Café Farms, owned by Mauricio Salaverria, has brought us three outstanding coffee’s this year. “Moe” as his friends call him, has been involved in coffee all of his life, following in his parents and grandparents footsteps since the 1890’s. Moe owns and manages 5 farms including Finca Himilaya, Finca CruzGorda, and Finca Villa Galicia (where Divisadero’s mill is also located) with primarily shade grown Bourbon. All of Moe’s farms are located in the Apaneca highlands. His attention to quality all along the agronomy and processing chain are evident when you talk to him and taste his coffee. Moe prides himself on consistent high quality, proving his attention to detail by receiving 3 awards in the top 10 COE in 2015. At Divisadero’s ecological Mill at Finca Villa Galicia, Moe has Bourbon, Pacas, and Pacamara spread across 20 manzanas with flat terroir, giving him favorable conditions for maintaining quality with selective picking. We love that Moe pays close attention to every step of the process. In 2014 he exported 125 bags of micro lot coffee’s with a total export of 5 containers. 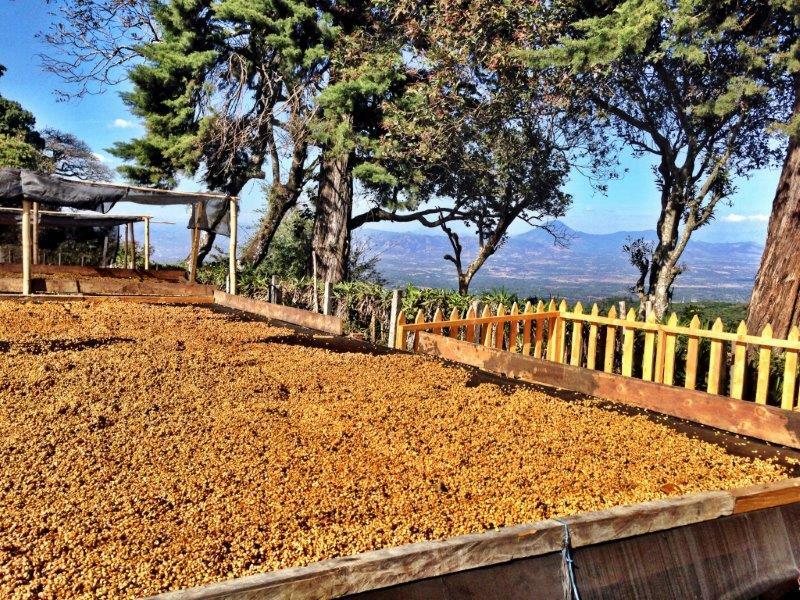 Divisadero is from Apaneca Micro Region where it is washed, depupled and dried on raised African beds at the Divisadero Mill which lies in the heart of Finca Villa Galicia in the conception Ataco. It is stored for export at the dry mill at El Borbollon. Cruz Gorda Pacas is from the micro region in Los Naranjos within the Apaneca mountain range. This bourbon pacas is also depulped and dried on raised African beds at Divisadero’s mill. -Divisadero: Cupping notes: Creamy, silky body, honey, herby, caramel, very savory and sweet. -Divisadero: Pacas Bourbon: Syrupy body, milk chocolate, toffee, sweet, strawberry, lingering pleasant finish. -Divisadero: SHG CruzGorda Pacas: Buttery body, tropical, melon, honey, crisp citrus, milk chocolate, bright acidity.